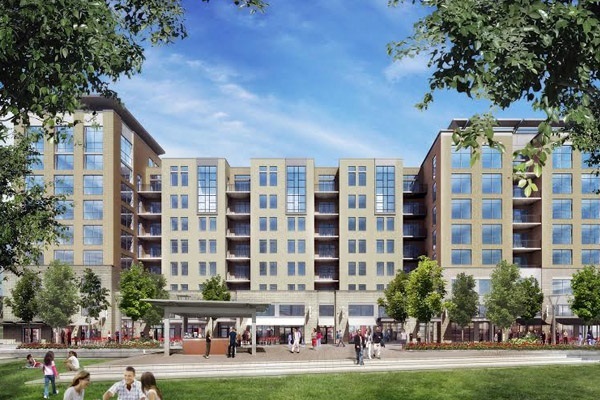 The Terraces are a luxury condo midrise building in the heart of Victory Park. The Terraces were built in 2007, and have all of the modern elements designed beautifully in each condo unit. They offer plenty of entertainment being just steps away from AA center, House of Blues. Enjoy upscale dining, or a walk on The Katy Trail. The Terraces offer one, two and three bedroom floorplans, providing open floorplans, views of Downtown Dallas, gourmet kitchens, hardwood flooring, plush modern carpet in some units, and large walk in closets. Residents enjoy private balconies, and a rooftop pool terrace, lobby and controlled resident garage parking.